Unique batch imaging software able to automatically detect and fix red eye. 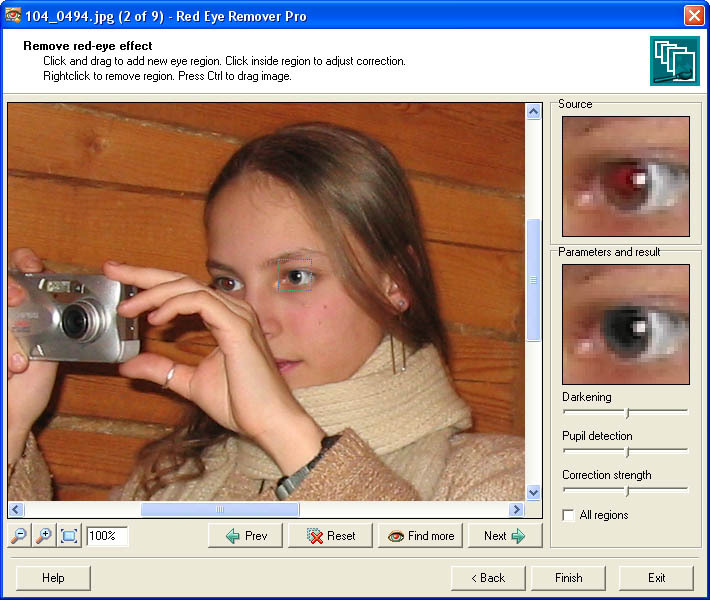 Red Eye Remover Pro is a unique professional red eye correction tool, providing fast and precise batch red eye removal. Using advanced science-intensive technology, Red Eye Remover Pro is able to automatically detect and instantly correct red eye in multiple photos. This unique software allows users to work with large collections of images at once and adjust the correction options, watching the results in real time. Copyright © 2010-2019 LiteFile.com. All rights reserved. Powered by Joomla.